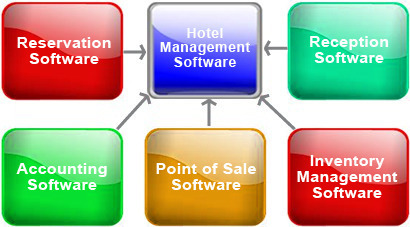 To satisfy the growing needs of customers, we are engaged in offering a wide range of Hotel Management Software. Our product is technical advanced and recommended amongst the customers for its accuracy. In addition, we offer Hotel Management Software to the patrons as per the need of the application and after testing it on various parameters. This software is designed in essentially in three layers which are called User Interface layer, Business Logic Layer and Database layer. It is developed in visual studio and backend MSSQL Server. It has used many features and one of them is reports definition client (RDLC) for reporting and billing. It is also available is Online as well as Offline. It also supports of cloud computing environment. Its minimum hardware configure requirement core –i3 processors and 4 GB RAM and above. It has many modules like guest management system, Payroll management system, canteen management system, Bill management system and others. Guest management module is covering about guest in and out. It is also called check in and checkout. It has common activity Guest registration, Room booking and Room transfer. You can set or configure your configuration items like room charge or bed charge and other components. Payroll management system is covering employee salary related activity like offer letter, pay slip, claim and salary sheet etc. Canteen management module is coverings canteen’s activity and its billing. Ray Business Technologies Pvt. Ltd. World's Leading a Global Information Technology (IT) Services and Solutions Company, HQ in India and branches in USA, UK, CANADA, and Australia, we provide complete End to End IT Services and Solutions. Raybiztech is a CMMI Level 3 accredited global IT services and solutions company having excellent technology teams working on diversified solutions. We offer comprehensive end-to-end IT Services for Business Application Development & Maintenance, Enterprise Solutions and Testing & Quality Assurance across various verticals globally. Raybiztech is Microsoft Silver Partner and Kentico Gold Partner among many top technology alliances globally. We have 300+ excellent developers’ globally, working on diversified technologies (Mobile, .Net, Java and PHP). We are CMMI Level 3, ISO 9001:2015, ISO 27001:2013 Certified and Member of NASSCOM & HYSEA. Our strong processes, systems and compliances make sure that our customers get best services and solutions.